PR consultant Max Clifford was arrested this morning as part of the Metropolitan Police's Operation Yewtree investigation into sexual offences, according to multiple media reports. News sources including the BBC, The Guardian and Sky News have named Clifford as the man that the Met announced had been arrested earlier today on suspicion of sexual offences. A Scotland Yard statement this morning read: ‘Officers working on Operation Yewtree have this morning, Thursday 6 December, arrested a man in his 60s [Yewtree 6] in connection with the investigation. 'The man from Surrey was arrested at 07:40hrs on suspicion of sexual offences and has been taken into a central London police station. Operation Yewtree was launched in October to investigate historic allegations of sexual abuse after accusations that Jimmy Savile sexually abused numerous young people during his broadcasting career at the BBC. The ‘Others’ category the Met’s statement refers to is in relation to allegations that are not connected to Savile. Clifford is one of the UK’s highest profile PR practitioners. 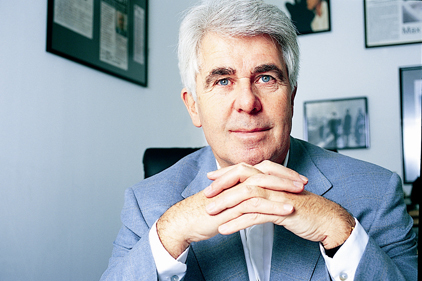 He established his agency Max Clifford Associates in 1970 and has represented a vast array of celebrity clients including Simon Cowell, Jade Goody and Mohammed Fayed.